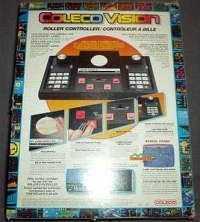 Description: The game was bundled with Coleco's Roller Controller and can't be played without it. 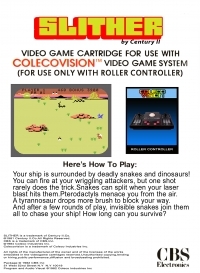 Box Text: Slither is similar in nature to the hit arcade game Centipede by Atari. 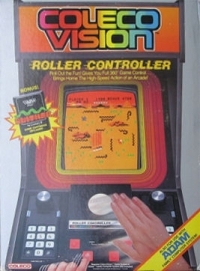 You control your snake as it slither's around the screen. Where this game differs greatly from Centipede is that you can shoot in 4 different directions at the same time to take out the baddies trying to hunt you down. The bad snakes hunting you down will appear from various angles on the screen, often several at a time. This is a list of VGCollect users who have Slither in their Collection. This is a list of VGCollect users who have Slither in their Sell List. This is a list of VGCollect users who have Slither in their Wish List.